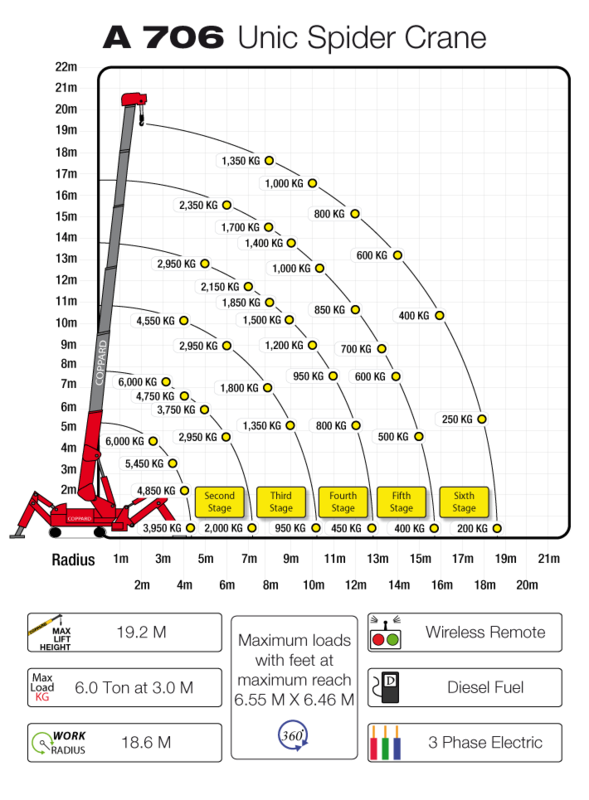 With a 6 tonne capacity at 3m and a hook height of 19.5m, the URW-706 is the highest capacity crane in the UNIC range. 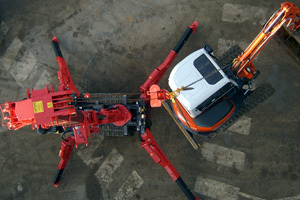 The machine is the behemoth of the mini crane world and yet at 1600mm wide is still narrow enough to gain access through a standard double doorway. For added lifting flexibility, the 706 also features an optional 3.1m long stowable fly jib, together with an optional searcher hook.